As many as 37 million people in the United States experience hyperhidrosis, or excessive sweating. 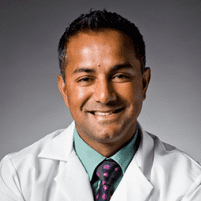 If you’re among them, David Singh, MD, of Elysium Aesthetics and Vein Care in Paramus, New Jersey offers a solution in miraDry®. The procedure provides a permanent solution to excessive sweating by eliminating unnecessary sweat glands. Call the office or schedule online to learn how you can live a drier, less stressed life. miraDry uses thermal energy to eliminate bothersome sweat and odor glands. You do need some sweat glands, but your body has 2-4 million of them. miraDry eliminates the mere 2% that is found under your arms. miraDry uses heat in a process called thermolysis to eliminate these sweat glands and reduce excessive sweating – you’ll continue to sweat normally elsewhere in your body. miraDry is safe and FDA-cleared to reduce underarm sweat. During the procedure, the outer layers for your skin are cooled and protected, causing no damage. If you’re bothered by excessive underarm sweating, miraDry offers an answer. You no longer have to carefully choose your clothing so excess sweat doesn’t show through and cause embarrassment. Your confidence improves when you have reduced odor and armpit stains in your clothing. Go out in warm weather without worry about sweating through your shirts. How soon will I see results from miraDry and how long do the results last? Results are noticeable immediately and they’re permanent. Destroyed sweat glands are gone for good and cannot regenerate. miraDry clients report an 82% sweat reduction and 89% odor reduction following treatment. You see benefits after just one treatment, but you may also elect multiple sessions. Discuss a customized plan with Dr. Singh. miraDry treatments are well tolerated by most patients. Men and women describe them as painless. You will have local anesthesia administered to the underarm area to reduce sensation, making the procedure as comfortable as possible. You can return to work right after a session, but you’ll need to hold off on vigorous exercise for a few days. Expect some swelling, numbness, and bruising in the underarm area for a few days after treatment, but these side effects subside and don’t require downtime. Some people may experience localized swelling for up to two weeks following miraDry. Over-the-counter pain medication and ice packs ease any discomfort in the initial days following miraDry. To learn how you can reduce excessive sweating with miraDry, call the office or schedule an appointment using the online booking tool.